No other storage facility can match us when it comes to customer service. We make sure to treat each of our customers with respect by providing them with the best storage services in the Sergeant Bluff area. Allow us to be your top choice for storage and we promise you won’t regret it. The owners and managers at Affordable storage really have a grip on effective managing. In addition to managerial skills, they are all very nice and amazing human beings as well! Great business all-around: in quality, cost, and business leadership/management. I would recommend nowhere else! Excellent customer service!! The staff is wonderful and very helpful . Clean and secure units. Great well maintained facility. Staff is so easy to work with and nice. I feel more that comfortable leaving my personal belongings there knowing that whey are in a safe and clean atmosphere! Highly recommend!! 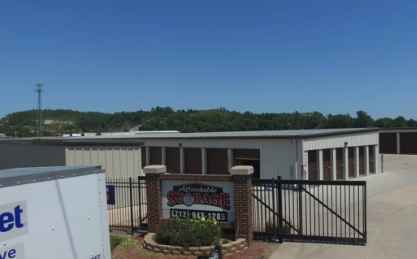 Affordable Self Storage is here to serve residents and businesses in the Sergeant Bluff area. Our facility is easily accessible via I-29 and can be found near several nearby businesses such as Casey’s General Store and Fareway Grocery. We cater to college students as well, just 12 minutes away from Morningside College. Rent or reserve a storage unit with us today! Long term renters facility is very well maintained and affordable highly recommend. Feel very safe keeping personal belongings here! Excellent maintained facility. I feel my personal belongings are kept safe.